Before Romeo met Juliet, his heart belonged to her. 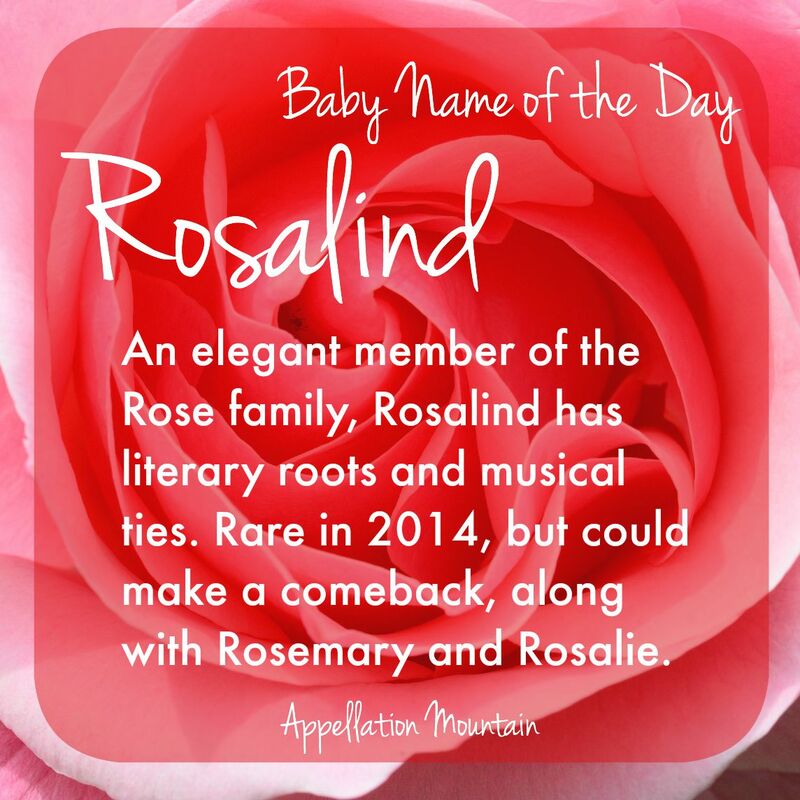 Thanks to Kathleen, Elizabeth, and so many others for suggesting Rosalind as our Baby Name of the Day. Actually, I remembered it wrong. Romeo was in love with Rosaline. That’s the thing with Rose names. For all of Rose’s simple elegance, there’s an entire garden of names that start with Ros-. Not all of them had anything to do with the flower, at least not at first. The Germanic hros referred to a horse, and was a common element in girls’ given names, including Rosamund and Rosalind. The -lind meant gentle. Then along came Latin, and the assumed meanings of the names changed. Rosamund became Rosamonde – rose of the world. And Rosalind? Latin gives us rosa linda – beautiful rose. The Bard used Rosaline for Romeo’s crush, but Rosalind became his heroine in As You Like It, written in 1599, some time after Romeo and Juliet. She’s a thoroughly admirable character – loyal, smart, and quite capable, even when confronted with considerable adversity. A few decades earlier, Edmund Spenser made Rosalind the great love of the shepherd, Colin, in his 1579 work, The Shepeardes Calendar. Spenser invented oodles of names, but it’s not clear if this was yet another of the poet’s creations, or if the name existed prior to 1579. Rosamund is definitely much older, worn by a Lombard queen back in the sixth century. The name experienced a quiet revival in the nineteenth century, and entered the US Top 1000 in 1889. 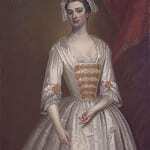 A handful of famous bearers wore the name in the twentieth century, including actress Rosalind Russell. She won a Tony Award and multiple Golden Globes. Russell was nominated for four Best Actress Oscars between 1942 and 1958. That tracks pretty closely with Rosalind’s most popular days. In 1942, the name reached #292 in the US. Rosalind Ashford, of Martha and the Vandellas. Rosalind Madison never hit it big, but I’ve found references to her 1965 single “Neighborhood Girl” here and there. It’s especially interesting because the name experienced a brief resurgence in 1965. That could be thanks to the Vandellas, who were going strong at the time. Or maybe Madison gets credit. Rosalind Cash, though she’s better known as an actress, including stints on General Hospital and a string of movie appearances in the 1970s and 80s. 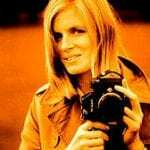 Rosalind left the US Top 1000 after 1978. As of 2000, just 38 girls were given the name. That’s reversed slightly – there were 100 newborns named Rosalind in 2014. Rose is up to #194. And Rosemary is at #574 – which is actually a decrease in rank for the name from 2013. In total numbers, it’s still safe to say that Rosemary has made a comeback. Rosalind remains rare, but it’s an interesting possibility. Rosie is an adorable nickname, one that we’re sure to hear more of in the coming years. Lindie/Lindy works, too. It’s an elegant name, feminine and elaborate, but not frilly. 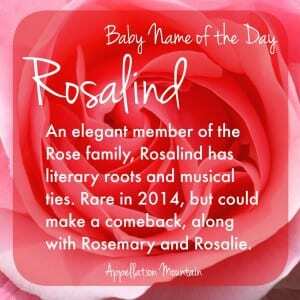 If you’re drawn to names like Annabelle and Lillian, but want something far more rare, Rosalind is one to consider. What’s your favorite Rose name? Do you think Rosalind will make a comeback? 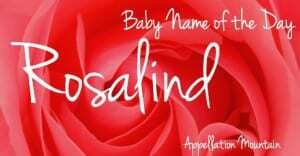 Rosalind and Rosamund are two of my favourite names! I would absolutely love to get the chance to use one of them. I’m currently pregnant with #1 (and possibly the only), maybe it’s a girl and I’ll get my chance 🙂 I’ve loved the nickname Roz (pronounced Rahz) since watching Frasier as a little girl. Thisis on my “love, bey would never use” list. Love, because I played Rosalind in high school, and my husband and I love Shalespeare. Wouldn’t use, because my once-in-a-lifetime dog’s name was Rosie, and it’s just too close, and oh yeah, all done having kids. I am currently trying to convince my husband that this should be the name of our second daughter due in October. My first is Alice Rosemary, so I have as thing for rose names. Wish me luck! Good point – it definitely has a different sound. As much as I like it, that’s one of the reasons I wouldn’t use it. I can’t keep the pronunciation straight. Same with Rosamund. It’s a lovely name, but I say Rosa-mund and Rahza-mund.